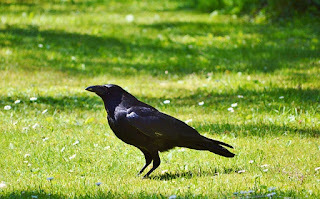 This morning after I fed the hens I noticed two crows among the hens, a carrion crow and a hooded crow. We just don't get carrion crows here as a rule. Because they tend to be south of a line drawn from Glasgow to Bettyhill on the North coast of Scotland. Over the last hundred years a number of population studies have documented the change in distribution of the two species in Scotland, Italy and Denmark. In the Ligurian Alps the hoodies have moved further up the mountains and along the Danish / German border here has been a similar shift. Why has this happened. Immediately one thinks...... must be climate change!...... 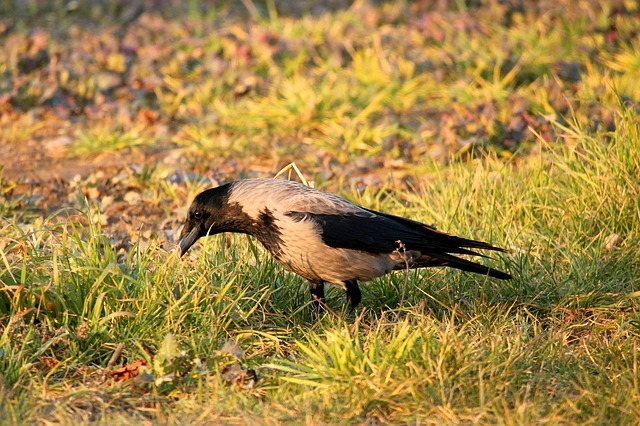 but hooded crows can cope with much higher temperatures and seasonal range of temperatures than we experience here in Scotland from Central Russia to Spain. There mus be some other agency at work. Modern intensive agriculture could to be the most likely factor. Carrion crows thrive in lowland Britain's industrialised agriculture and perhaps the hooded crow can't compete so readily in this environment. Similar changes in the intensity of farm production at lower levels in the Italian Alps and Germany could have driven the change there.